If your roof is getting on in years or has been the recent victim of storm damage, it may be time to consider roof replacement companies. AnyWeather Roofing understands the many problems that can occur if a damaged or improperly functioning roof is not replaced in a timely manner. When water, wind or insects are allowed to enter a home through a damaged roof, the structure itself can become severely compromised. The repairs required to fix walls, ceilings, insulation and other structural components may end up being much costlier than simply replacing the roof in the first place! AnyWeather Roofing’s highly trained technicians possesses decades of combined experience in caring for roofs right here in Hebron. We understand the local weather patterns, we remain current with the latest industry developments, and we install proven products from best American manufacturers. When your roof is damaged, we are the team to call on to address the following issues. AnyWeather Roofing can repair even the most complex roofing issues, and will take great care to ensure any repairs are subtle and replacement materials blend with the color of your existing roof. AnyWeather Roofing uses only experienced installers that are properly trained and insured. 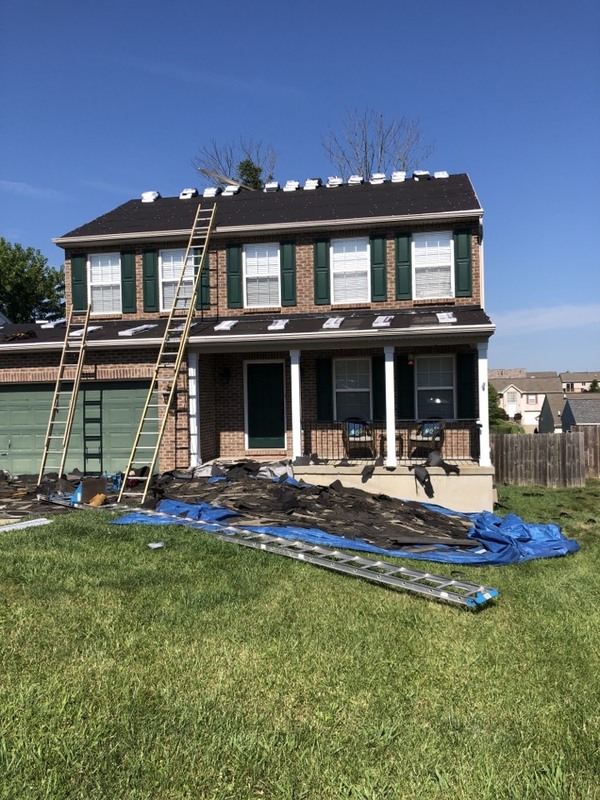 We provide free estimates so that you will know the cost of your roof replacement upfront, and will work with you through all of the project details. We pay attention to detail so your roof is properly and professionally installed. If your roof sustained damaged and is covered by homeowner’s insurance, we will work with your insurance company for the best results. 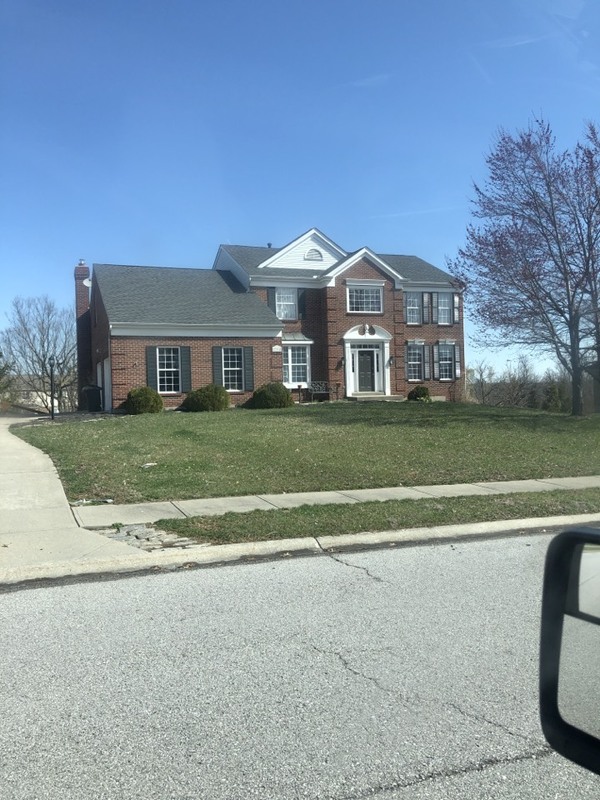 AnyWeather Roofing serves Hebron and all of Northern Kentucky. 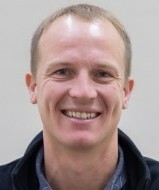 We invite you to call 859-908-0387 or fill out our online form to arrange a FREE consultation and estimate. 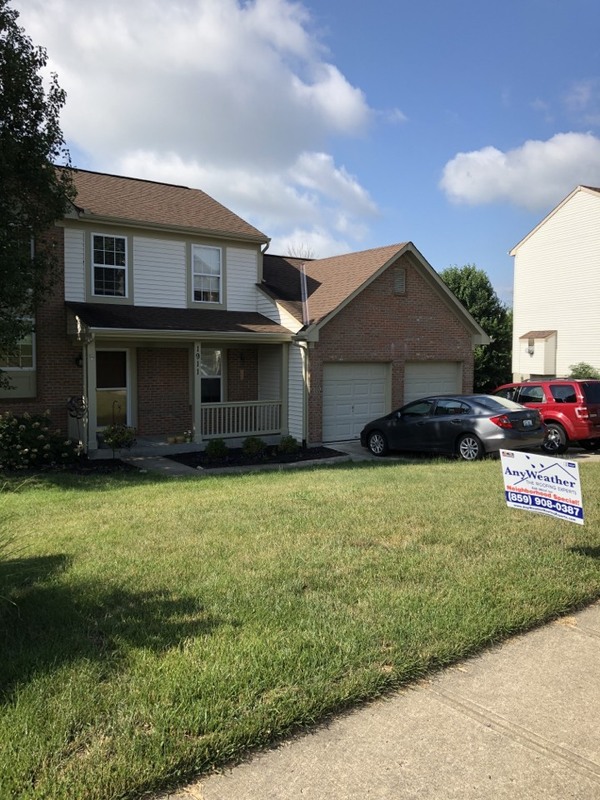 Installing another New Roof Replacement due to the storm damage here in Hebron, KY.
We are helping another great customer to navigate the claims process. 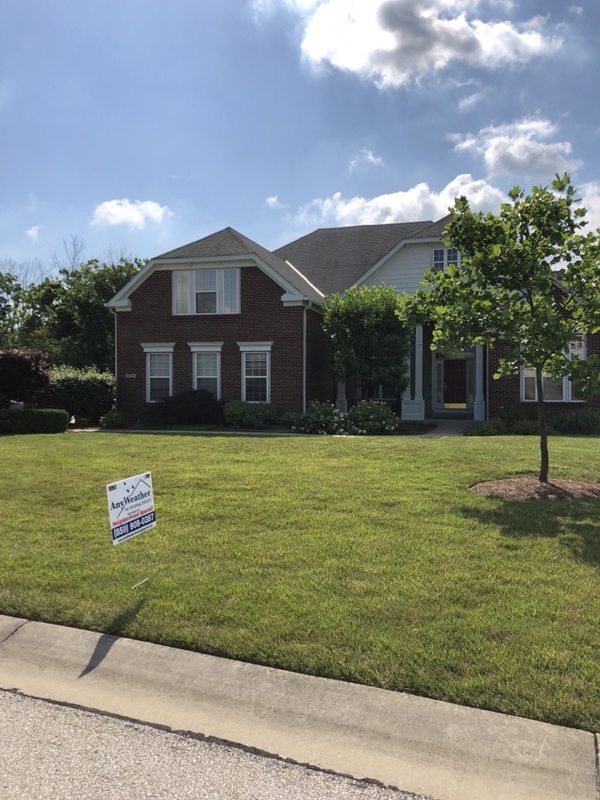 We will be doing a roof replacement due to storm damage here in Hebron, KY.
Getting ready to install all new vinyl siding to this home in Hebron, KY.